Please visit the new blog for news and updates about open education activities and events in Scotland. http://www.openscot.net is hosted by Reclaim Hosting. One of the key actions was to establish a working group, similar to Wales and the Nordic countries, that can stimulate research in the area of open education and hopefully inform future Government initiatives. As several of the delegates who attended the Summit in June expressed an interest in on-going participation, there seems to be a real appetite for taking this forward. In the first instance we’ve agreed to set up an Open Scotland blog to provide the group with an identity and a platform to publish information, articles and commentary on all aspects of openness in education. We’ll also use the blog to link to other related groups, lists and initiatives e.g. 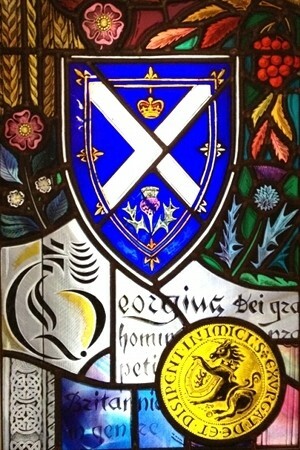 the Open Knowledge Foundation, OER-Discuss, the Scottish Open Badges Group, etc. Unfortunately someone is sitting on the openscotland.wordpress.com domain so we’ve had to settle for openscot.wordpress.com. There’s nothing to see there at present, but we hope to have the site up and running by the end of September. Several colleagues have already offered to contribute posts on different aspects of openness and how these relate to education and education policy in Scotland. We also discussed setting up a mailing list to disseminate information but as there was some concern about the proliferation of mailing lists we thought we would try setting up a google group instead. The second key action from the June summit was to draft a position paper providing evidence of the benefits of openness with examples of how these can impact on Government priorities. As a starting point for this activity we’ve agreed to look at the Scottish Funding Council’s Outcome Agreements for 2013 – 2014 and to highlight areas where different aspect of openness could have a positive impact on the outcome agreement criteria. Once we’ve done a first pass through the Outcome Agreement criteria, we’ll post the resulting draft in a public document that everyone will be welcome to comment on and contribute to. Hopefully this will help us to focus on real tangible benefits of open education policies and practices and demonstrate how these can help to address current strategic priorities and challenges. Another activity we discussed is to take the 2012 OER Paris Declaration and to start identifying examples of practice, from Scotland and neighbouring countries, that address the ten key points outlined in the Declaration document. I’m also keen to develop some case studies about institutions that have developed open education policies, but that’s an activity that would require rather more resources than we have at our disposal at present. If you’re interested in keeping up to date with Open Scotland, keep and eye on the #openscot hashtag and this blog in the interim, or feel free to contact any of those involved. In collaboration with SQA, Jisc RSC Scotland and the ALT Scotland SIG, Cetis is hosting a one day summit focused on open education policy for Scotland which will take place at the National Museum of Scotland at the end of June. The event, which will bring together senior managers, policy makers and key thinkers, will provide an opportunity for critical reflection on the national and global impact of open education. Open Scotland will also provide a forum for identifying shared strategic priorities and scoping further collaborative activities to work towards more integrated policies and practice and encourage greater openness in Scottish education. The Open Scotland keynote will be presented by Cable Green, Creative Commons’ Director of Global Learning. Creative Commons are a non-profit organization whose free legal tools provide a global standard for enabling the open sharing of knowledge and creativity. Representatives of the Scottish Government, the National Library of Scotland, SQA, ALT Scotland, the University of Edinburgh, Glasgow Caledonian University, the Nordic OER Alliance, the EU Policies for OER Uptake Project, Kerson Associates, Jisc, Jorum, Jisc RSC Scotland and OSS Watch will be among those attending. A synthesis and report of the outputs of the summit will be disseminated publicly under open licence. How can Scotland leverage the power of “open” to develop the nation’s unique education offering? Can openness promote strategic advantage while at the same time supporting social inclusion, inter-institutional collaboration and sharing, and create new opportunities for the next generation of teachers and learners? The Scottish Government’s ‘Scotland’s Digital Future’ strategy, published in 2011, sets out the steps that are required to ensure Scotland is well placed to take full advantage of all the economic, social and environmental opportunities offered by the digital age. However, whilst the Scottish Government has been active in advocating the adoption of open data policies and licences it has yet to articulate policies for open education and open educational resources. In March 2013, the Scottish Funding Council published a ‘Further and Higher Education ICT Strategy’ that builds on the Scottish further and higher education sectors’ culture of collaboration and the range of national shared services that are already in place, many of which are supported by Jisc, JANET UK and others. What kinds of open policies and practices can we develop and share across all sectors of Scottish education to help implement these strategies and move them forward? Elsewhere, the HEFCE funded UKOER Programme has been instrumental in stimulating the release of open educational resources and embedding open practice in English HE institutions. SURFNet in the Netherlands recently published their second ‘Trends Report on OER’, and a group of Nordic countries have launched the Nordic Alliance for OER. The UNESCO 2012 Paris Declaration called on governments to openly license publicly funded educational materials, and later that year the European Union issued a public consultation on “Opening up Education – a proposal for a European initiative” in advance of a new EU Initiative on “Opening up Education” expected to launch in mid-2013. Underpinning many of these developments is an increased acceptance and adoption of Creative Commons licences. We are experiencing a period of unprecedented flux in all sectors of teaching and learning. For better or for worse, the advent of MOOCs has opened a public debate on the future direction of post-school education, though the balance of commercial opportunities and threats from the increased marketisation and commodification of education is still unclear. Open Scotland is a one day summit facilitated by Jisc CETIS in collaboration with SQA, Jisc RSC Scotland and the ALT Scotland SIG. The event will provide an opportunity for key stakeholders to critically reflect on the national and global impact and opportunities of open education, provide a forum to identify shared strategic interests and work towards a more integrated Scottish approach to openness in education.